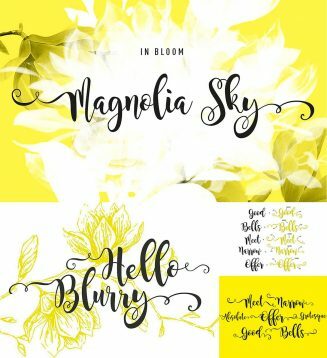 Magnolia Sky is a smooth script font from a smooth brush pen. This version is provided with a set of alternate glyphes and ligatures. Tags: brush font, brush pen, calligraphy font, glyph, ligature, swirl.